Remember, every home is unique and has many nuances that make each HVAC installation or maintenance a case by case basis. Watch out for HVAC contractors that give you a bid over the phone because there is no way they can know what exactly what your system consists of. There are many factors that go into a proper estimate such as ducting, insulation, and even windows. Make sure your contractor performs a Manual-J calculation for your air conditioning system. None of this can be done over the phone. If you get a phone estimate, take it with a grain of salt and make sure you get a proper estimate when the HVAC contractor comes over to check out your system. Many contractors opt to install the same unit (albeit a newer model year) as before. Assuming the average HVAC unit lasts 10-15 years, you should make sure the newer model of your old unit has similar specs, otherwise, you should find something that is actually compatible with the dimensions of your home. A seasoned HVAC contractor will recommend several options to best improve the quality of your home’s HVAC system. 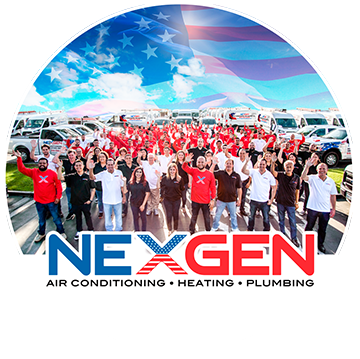 Many HVAC companies claim they have over 50 years of combined HVAC experience, or something like that! Sure, that may be true, but when it comes down to the job, you may only have one or two new contractors with little experience actually working on your HVAC system. HVAC contractors that have nothing else to show for other than their “years of experience” should raise a red flag. Make sure your contractor also has great customer reviews, and a lot of photos from recent projects. Also, watch out for HVAC contractors that say they’ve been following the same process for years. HVAC is still technology that evolves, and with all evolving technologies comes evolving methods and processes. Make sure your contractor is on the leading edge of HVAC technology. My air conditioning has only been blowing warm air recently, and I think it may be in need of repair or replacement. Your article had some great tips for choosing a contractor that could help me with this, and I liked how you said to hire someone that has great customer reviews and photos from recent projects. Thanks; I’ll keep this in mind when choosing the HVAC contractor best to fix my AC. I like that you suggested making sure that an HVAC contractor has great customer reviews and photos of their past projects that they can show you to prove that they are experienced. With that in mind, I’ll make sure to interview an HVAC company first before hiring them. I need to replace the old HVAC unit in my house, and I’d like to find an expert that can efficiently install a new HVAC unit for me. My goal is to make sure that my new HVAC system won’t fail too soon, so I’ll remember all your tips.